If you attend another college or university and need to take a supervised exam or professional licensure exam, SLCC provides proctoring services for $20, paid in cash or check. We also proctor the Carrying Passengers for Hire exam for the Utah Parks Department. Tests are administered by appointment at Taylorsville Redwood Campus. You can purchase a $2 pass from the Parking Kiosk located on the east side of the Construction Trades (CT) Building. 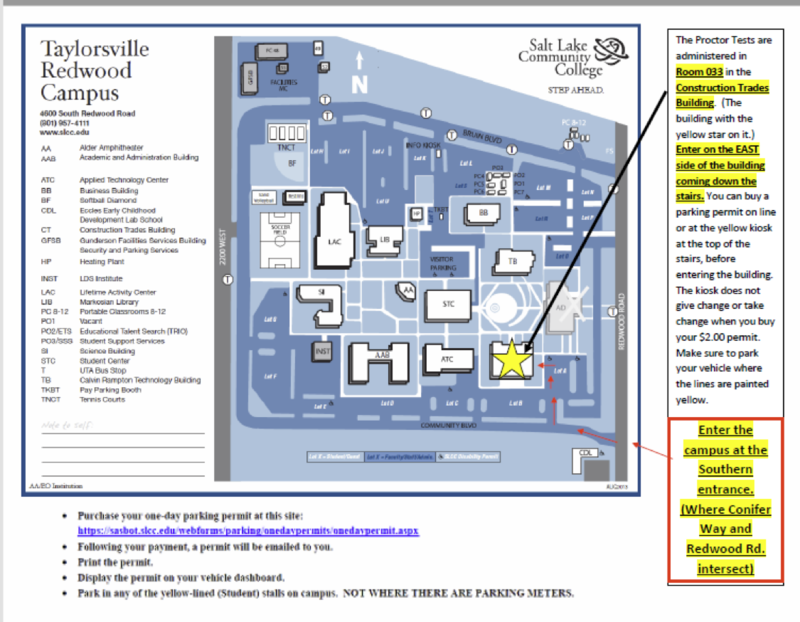 For more information or to schedule a proctored exam, call 801-957-4964 or email testingservices@slcc.edu.